singing since the age of four and acting since the age of 12. Ms. Bruno is a graduate of S.U.N.Y Purchase College, where she also studied abroad Mantua, Italy. In her time abroad, Martina was a student of the Conservatorio Di Mantova. Upon her return she has performed in numerous venues, presenting a synthesis of Hip Hop and Classical Song. Martina is also well versed in jazz and classical music. She also has graced the stage of such venues as Carnegie Hall, Lincoln Center, the Apollo Theatre, Teatro Bibiena and Soho Playhouse; either as a solo act or with group. Martina is also a member of MUNY (Music Under New York). She is known as the Angel of New York for lifting the face of the underground subways with her angelic voice. In 2008 and 2015 Martina rang in the New Year Touring in Germany. In 2012 ,she made her first opera debut with Opera Ebony with "The Colors of Love". 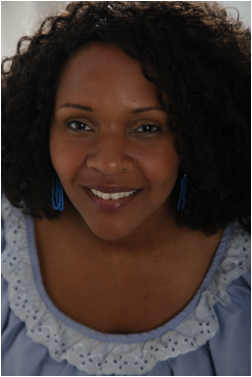 Martina is currently a Young Artist in Residence with the oldest African American Opera company Opera Ebony. She is the student of renowned international operatic bass Gregory Shepherd who teaches her classical voice. She also studies with Mary Walkey acclaimed Broadway voice teacher. This is where her love of world music and jazz has began. She believes in education and pushes herself to learn about various cultures. She is currently a student at New York Theological Seminary obtaining her Masters of Arts in Pastoral Care. Martina likes venturing and pushing the limits of classical song to the popular and an international audience. You can trust she is the ultimate professional to meet your musical needs.